Why Invest in San Felipe? 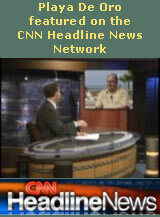 Would you like to be a part of the Real Estate Boom going on in Baja? 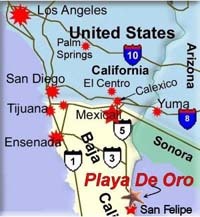 There are many opportunities for investing in San Felipe, Baja Mexico. These opportunities are protected byTitle Insurance from :Frupo Nacional Provincial S.A. Please contact our Financial Center for further information. San Felipe is poised on the pinnacle of a development and tourism explosion. Previously a sleepy fishing village with weekend tourism and home to a handful of enterprising Americans, it is now gearing up to be the tourist destination of choice. 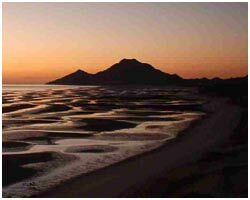 San Felipe, perched on the northwestern shore of the beautiful Sea of Cortez, lays claim to miles and miles of pristine white sand beaches, and has the majestic San Pedro Martyr Mountains to its back. The government's commitment to expand the highway, enlarge the Marina (part of the Nautical Staircase Project) and improve the airport will further entice tourists to its pristine shores. Already an ecological biosphere, the Sea of Cortez is destined to become a worldwide tourism attraction, offering inimitable sea-life for observation and interaction. The Sea of Cortez is the largest protected whale sanctuary in the World and the mouth of the sea is patrolled and protected by Mexican, USA, and Green Peace Ships. San Felipe, only 120 miles south of the U.S. border, is an easy drive. Playa de Oro provides a front row seat to what has been called, "the aquarium of the World." Where are all the people going to? There are 35 million inhabitants with one of the highest per capita incomes in the world, living in the southwestern U.S. Population estimates from the US Census bureau forecast California's population alone to increase by over 25% in the next 20 years. In other words, there will be an increase of over 14 million more people in the Southwest area. The huge population segment known as the Baby Boomers will be retiring in the next 10 years. The US economy has just experienced the greatest growth ever. So not only are many of these Baby Boomers ready to retire, they can afford to retire. Will Rodgers said, "Find out where they are going. Get there first." A new trauma center has opened in San Felipe complete with state-of-the-art diagnostic capabilities including laboratory, surgical wing, and full-care facilities. 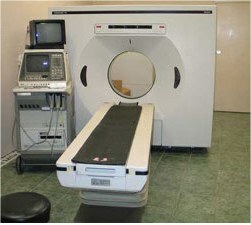 Well staffed and private insurance approved, Medicare should approve it also within the year. Ambulance and airlift still are available for those wishing or needing immediate U.S. medical care. Combine this with excellent pharmaceutical prices, and retirement income goes a long ways. 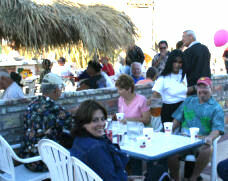 San Felipe is also very convenient to the Veterans Hospital in San Diego. The foresight of PARKSTRONG in developing their land into an environmentally-friendly subdivision, making it a reasonable and affordable investment, and ensuring a safe and secure community puts Playa de Oro and San Felipe on the charts for venture opportunity. San Felipe is only utilizing about 4% of its currently available fresh water and 12% of its available electricity. The populations of Southern California, Phoenix & Southern Arizona, as well as the border towns of Mexicali and Tijuana, are exploding. More people are seeking rest and relaxation and finding it on the tranquil Sea of Cortez. As an investment, great vacation haven, or an affordable retirement alternative, Playa de Oro is the place to be! Please contact our Financial Center to discuss investment opportunities further. The Four Laws of Baja Real Estate Investing. Sand, Surf, Sun and Palms Trees -- Always a Great Investment! Find out where the Baby Boomers are going and get there first. He who procrastinates, ends up further from the Ocean. Don't leave your brains at the border, Do your homework! Always have Title Insurance. "Playa de Oro is one of the cleanest and best properties for sale in Mexico"